The next upcoming Cinco De Mayo is on Sunday May 5th, 2019. 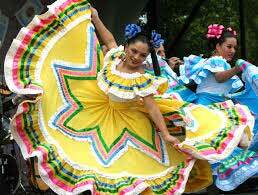 Cinco de Mayo is observed on May 5. Mexican Americans celebrate this day to honor their ethnicity and remember the defeat of the French army from the Mexican army during the Battle of Puebla in Mexico in 1862. Cinco de Mayo celebrates the Mexican culture, achievements and fortune of the Mexican Americans living in the United States. Festivities include Mexican dancing, food, music, and performances. Some of the largest Cinco de Mayo celebrations are in Los Angeles, San Francisco, San Jose, Sacramento, San Antonio, Phoenix, Albuquerque, El Paso, and Denver. Cinco de Mayo originated from the victory battle of the Mexico army against the French army in the Battle of Puebla on May 5, 1862. It is believed it started by Mexicans living in California in the 1860's from the French rule in Mexico.